Pumpkin is a gourd-like squash. They are typically orange or yellow and have many creases running from the stem to the bottom. They have a thick shell on the outside, with seeds and pulp on the inside. 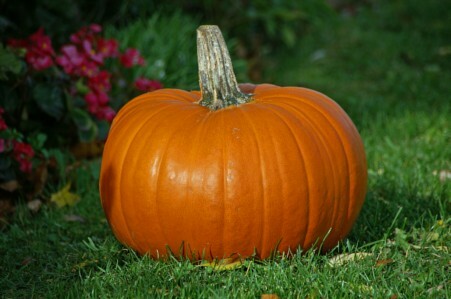 Pumpkins generally weigh 9� lbs (4�kg). Pumpkins are commonly used in cooking and to create decorative lanterns for Halloween.